This luxury collection of designer plug sockets have a brushed gold finish. 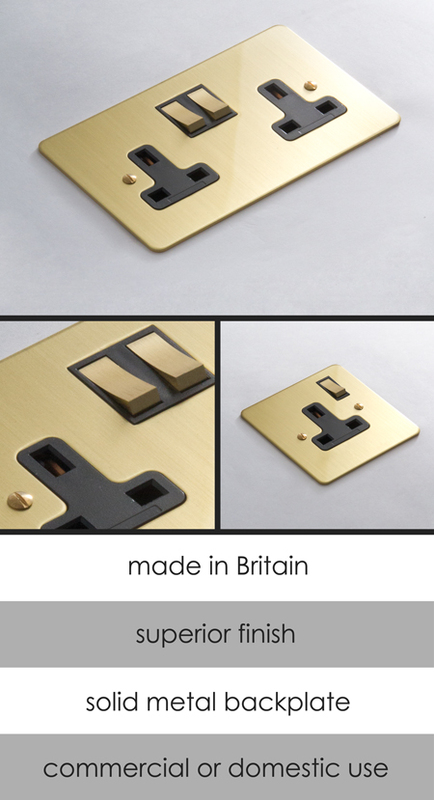 These gold electrical sockets have solid metal back plates and UK high quality switching mechanisms. Supplied as single or double plug sockets. This luxury gold electrical fittings range is made to special order please allow 4 to 6 weeks for delivery.